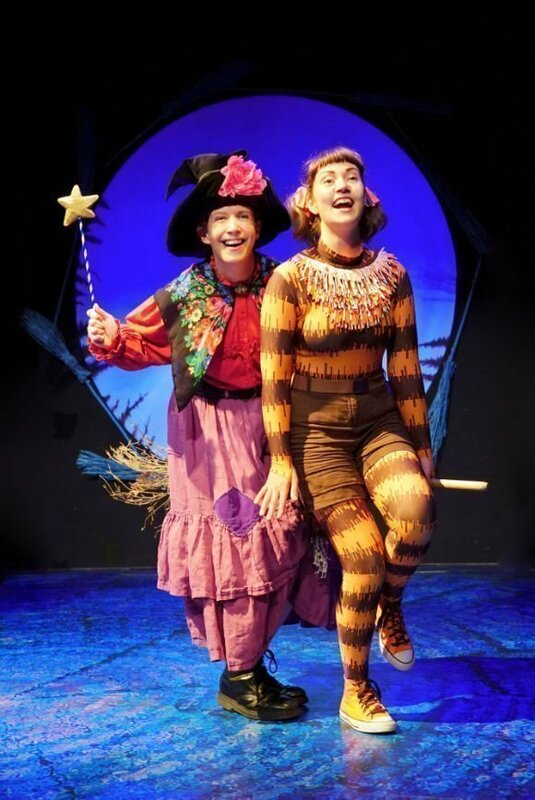 A seasonal treat for kids – It’s Room On The Broom! 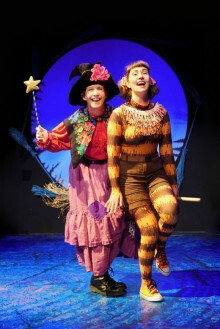 Room On The Broom returns to London’s glittering West End from November 2012, originally a popular children’s book by Julia Donaldson and Axel Scheffler, the writing team behind The Gruffalo and The Gruffalo’s Child. Julia Donaldson is also the creator of children’s favourites A Squash and a Squeeze, Monkey Puzzle and Taby McTat. Axel Scheffler has illustrated several of Donaldson’s books as well as countless other kids’ classics across Europe and beyond. Together they create hilarious, endearing and unforgettable characters that youngsters find thrilling, inspirational and very, very funny. 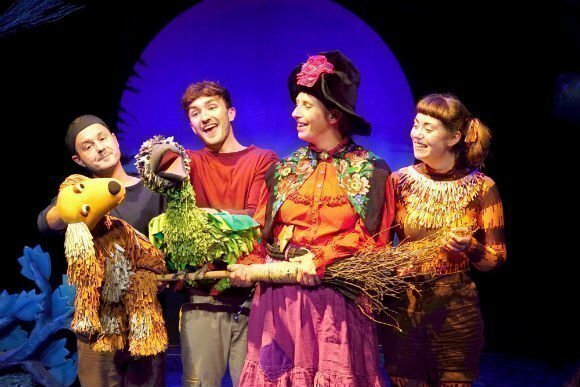 Meet the witch and her cat, the stars of the show, who are eventually joined by a dog, a bird and a frog in a series of unexpected adventures that take place when the witch’s hat, wand and bow are blown away by a howling gale. She’s determined to get them back. After all, what is a witch without her pointy hat? And so begins a wacky tale packed with giggles and excitement, perfect for children and full of wonderfully colourful characters. It even includes a dragon! 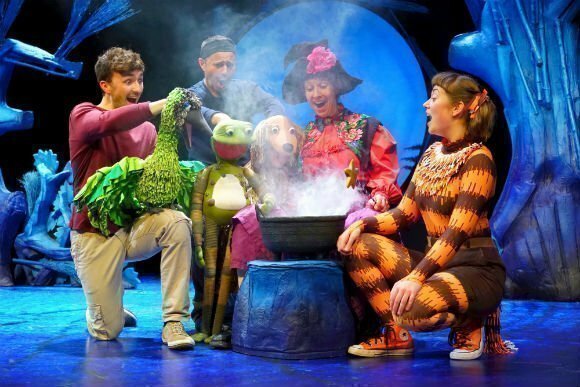 This funky, fun stage show is perfect for children aged three years old and upwards. It’s energetic, engaging and charming, and at an hour long it’s the perfect length for youngsters to enjoy without getting bored and fidgety. 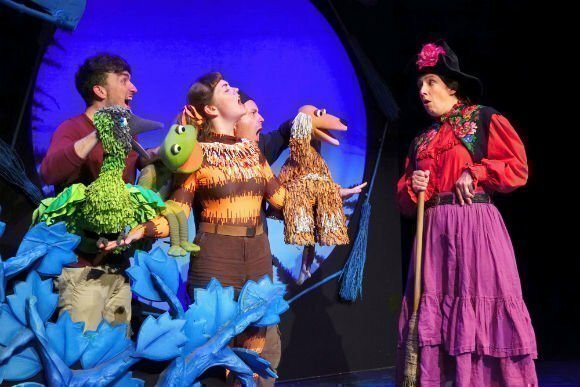 We offer excellent and varied seat and ticket availability with a wide choice of seat options, with premium and full price tickets as well as discount Room On The Broom tickets. 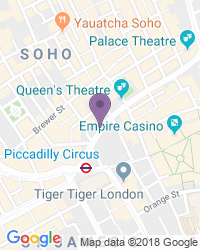 Why not treat your little ones to a genuine West End show and introduce them to the delights of live theatre? My son loved it. My daughter was initially scared but seem to enjoy it once she got into it. Very friendly environment. We were so looking forward to this show as my two children love the story. The play was really poor, the actors corpsed on stage and really messed up . The music was rubbish, the scenery un imaginative. The whole thing was very amateurish and totally not worth the money. Good show, could have done with maybe a little more audience participation, seeing as it is for little ones. As you would expect from the name, perfect for kids. One of my sons all time favourite. Well transposed. Few hints moments towards the adults for a quick chuckle. Good show for families including children as young as 3. The script plays massively with the sub text but did include all the original text. The use of puppets and physical ensemble work were both strong. Great show that gets the kids involved and is the just about the right length for a 3 year old to sit through and not get too fidgety! Very enjoyable for my 3 grandchildren, aged between 8 and 5. I was worried it would be too young for the older ones, but they loved it. Took 2 of my children aged 3 and 6 to see the show and they both loved it, especially being fans of the book. The show is about an hour long, which is just right for kids I feel. The cast are very interactive, playing hide and seek in the audience before the show started. Very personable people and the use of puppets for some of the animals was excellent. Despite misgivings beforehand I found myself focussing on the puppets and not the people operating them. Entertaining and full of laughs for children and adults, even I thoroughly enjoyed this outing. Very well done and high praises for a wonderful afternoon out for the children, bringing the story to life with songs, music and great acting! 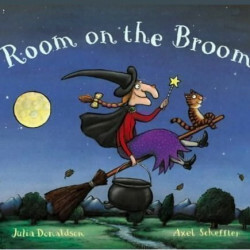 Use the search box at the top left of this page to search for Room On The Broom tickets availability.